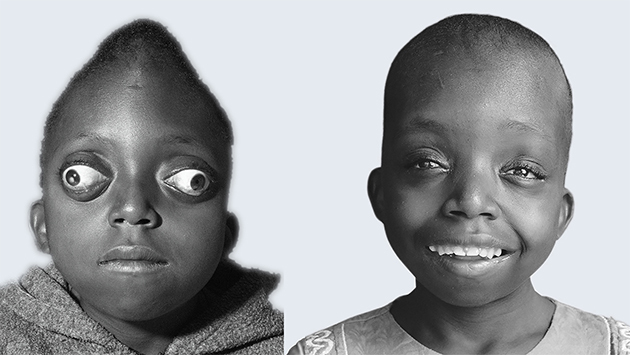 Donate online - World Craniofacial Foundation WorldCF | You can transform a child's face and renew her life. Please help us! You can transform a child's face and renew her life. Please help us! What if your son was among the one in every five-hundred kids around the world who are born with head or facial abnormalities that, if left untreated, would almost certainly ruin his life? Donate 100% - Add 3% so that 100% of the donation goes to WorldCF. Please contact us directly if you choose to donate by mail or telephone, with airline miles, to create honoraria or memorials, or to speak with us about planned giving or corporate donations. +1 972 566 6669 or Toll-free in the U.S., 800 533 3315. WorldCF has partnered with Network for Good to securely process your online credit card payment via Network for Good (tax ID 68-0480736). This transaction will appear on your credit card statement as "Network for Good." This transaction is subject to Network for Good’s Privacy, Security & Disclosure Statement and the Charitable Solicitation Disclosure. Copyright © 2017 All rights reserved by World Craniofacial Foundation.